Travis’ company had their annual Christmas party. Always entertaining when a bunch of finance employees get together with an open bar. I suppose it is always entertaining when any group of people get together with an open bar. Once everyone got warmed up, a soul train line formed. I was talking to a friend of mine and turned around in time to see Travis doing a strange dance that I later learned is called “The Dougie.” It is odd, and I was very surprised. I frantically tried to get my camera on and ready, but he was done before I could snap a picture of it. Sadly, I was unable to capture the moment in time, and he has since refused to repeat the dance. 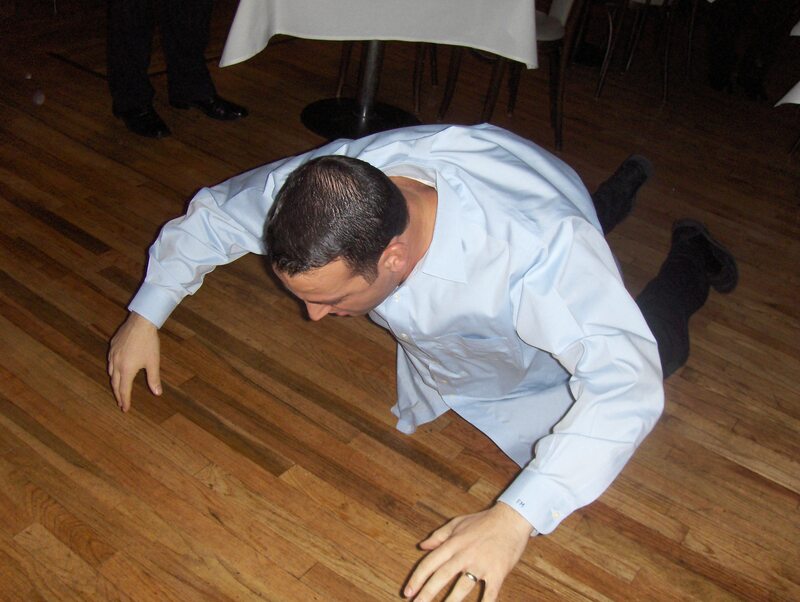 So I had to settle with taking a picture of his co-worker doing the worm.